I bet even non-Korean food fans also tried Bonchon probably for two reasons, it's an affordable fast food in the Philippines or you got swayed by their endorser, Sandara Park. I've tried different dishes of Bonchon but this is the very first one that I got hooked into. 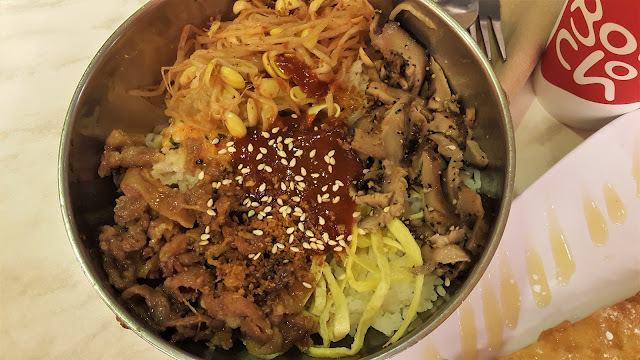 Step 1: Mix it all up - with all honesty, Filipinos don't usually mix rice and side dishes together but it's a big thing if you eat bibimbap. If you won't mix this, you missed half the flavor. 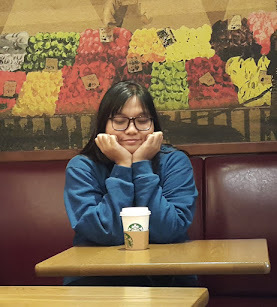 Step 2: Indulge and Savor - As it is Korean food, we know that it follows the importance of balance in food so you'll be able to taste the major flavors in food including the sweetness, spiciness, and saltiness. Step 3: Share online - it's nice that you also share your experience with your bibimbowl so your friends would also know about it! Tip: If you are not a big fan of spicy food, you can lessen the amount of the red sauce by removing some before mixing. 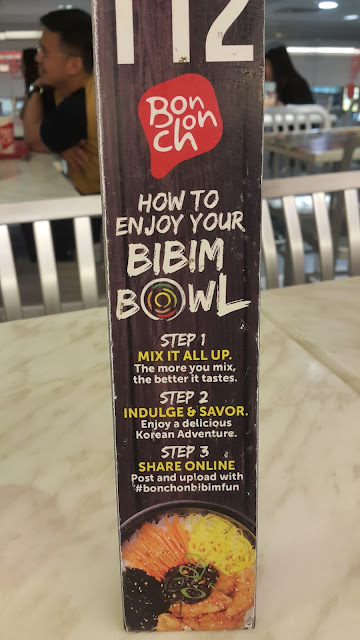 Bibimbowl is only 99 if ala carte and around 120 if with drinks, you may also opt to order i with jjampong at 155 pesos. For me, I decided to simply add the mango and cream dessert at 60 pesos and it compliments well with the bibimbowl. 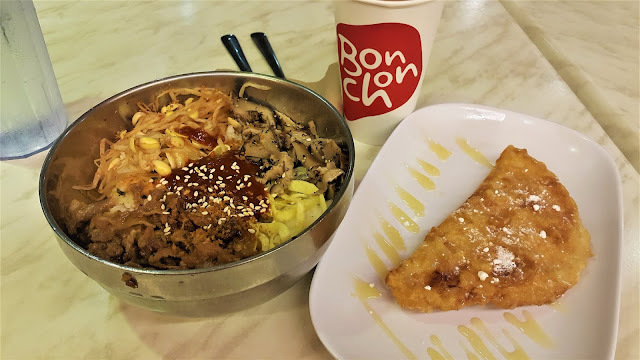 I am not a huge fan of Bonchon chicken since I find it blunt inside but this bibimbowl really got me so whenever I miss bibimbap made by my Korean friends and teachers, I just eat bibimbowl.